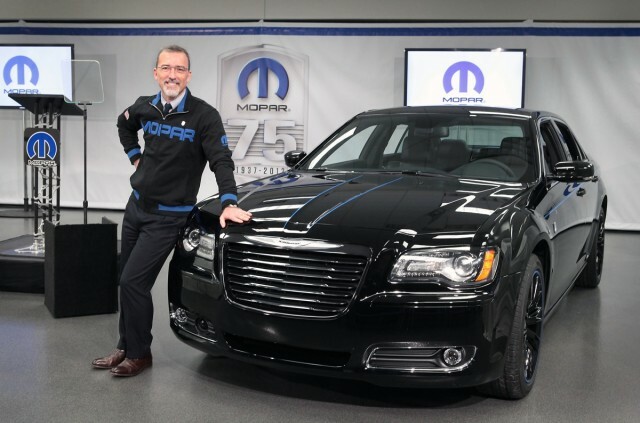 As part of its 75th anniversary celebration Mopar, a tuning house responsible for the gorgeous repackaging of several renowned vehicle brands, has shown its new improved version of Chrysler 300 at the 2012 Chicago Auto show. The new Chrysler 300 has adapted the theme that Mopar has used to its 2010 Dodge Challenger version as well as the Mopar’s version of 2011 Charger – the black & blue. Although this theme was known to Dodge it was the first time that Chrysler will get this transformation so naturally some variations has been made to fit the 300 and keep its cool classic elegance. Instead of using the usual bold combination Mopar’s thin blue stripes can obviously be seen along the beltline and running through the middle of the vehicle’s hood. The blue is in direct contrast to the complete black treatment using black grille, dark-trimmed headlights, and black aluminum wheels. The interior of Mopar ’12 300 is also set to follow the black/blue theme, highlighting the black interior are blue stitching to the chairs, blue inserts, blue leather in the steering wheel and blue shift lever. A reminder that this Chrysler 300 is a limited edition can be seen on the sill plates, which bear Mopar’s serialized plaque. As part of the upgrade, the Mopar-ized Chrysler 300 promises a better performance. Compare to the suspension setup of unmodified 300 versions the front spring of Mopar 300 is stiffer by 42% while the rear spring is firmer by 23%. Although the 5.7L V8 stays the same an expected improvement can be seen since the usual 3.06:1 was replaced by a 3.91:1 thereby increasing the performance ratio. A limited edition high end brake pads has also replaced the old ones for improved performance and the usual Firehawk tires (tyres) was replaced by Goodyear’s Eagle F1 high performance tires. This limited edition 2012 Mopar 300 is estimated to cost around $50,000 or less in complete package, any Chrysler 300 owners however can copy this limited edition look by purchasing the upgrades and putting them to the vehicle by themselves. Every accessory that was used to this special 300 edition, except the badges, can be found in the Mopar catalog including the prices of each. For avid Chrysler collectors Mopar will release around 500 limited edition units this summer and those who will grab one of those could expect a complimentary box of special edition gifts that contains the signed concept sketch of Mopar 300, a certificate of purchase, and a special key fobs & swag in Mopar’s signature. Showcased in the 2003 New York Auto Show as a concept car, the Chrysler 300 is considered an upscale full-sized car. The year after became the official sales launch of the Chrysler 300 2005 edition, one year early. There were two versions of the Chrysler 300 and both were designed by world-renowned Ralph Gilles – the SRT 8 model that is regarded as the high performance edition, and the luxury sedan 300. Aside from North America and Europe, the Chrysler 300 is also being sold in Australia. Surprisingly, the last time a full-sized Chrysler sedan was sold down under was in 1981 and it was the old Valiant. In Europe, The Chrysler 300 will be renamed and sold as Lancia Thema and sales have already picked up late last year. Nevertheless, it will carry its original name Chrysler 300 in the entire United Kingdom and Ireland. The Chrysler 300 has adopted some of the features from the Chrysler LX platform such as its rear wheel setup. Other component attributes it derived from the Mercedes-Benz E Class, which was sold from 1996 up to 2002. However, the Chrysler 300’s double wishbone suspension it got from the W220 Mercedes-Benz E Class. Other car elements that the Chrysler 300 got as shares from other car models include wiring harnesses, 5-speed automatic transmission setup, front seat frames, and the rear suspension design. Production started in 2004 for the Chrysler 300 and it was made available in two variants, the station wagon and the sedan. The car is also available in four engine types – the turbo diesel engine, which has not been made available in other countries, the swift SRT 8 model, which can run from 0 to 100 kilometers per hour in as short as five seconds, the 5.7 liters, which is only available on the 300C model only, and the 2.7 liters model. The car amazingly handles great on curves and corners. Engines are serenely quiet and it only becomes noticeable when revved at high speeds. The price of the Chrysler 300 is reasonable considering that it is a high-end car with high-end features and power capabilities. All the technological advances to reduce fuel consumption are present on the Chrysler 300. The car’s interior is as classy as ever, the steering wheel moves on both directions, and the driver’s seat is adjustable eight ways. National Highway Traffic Safety Administration has recently released its list of Safety ranking for automobiles and GM Chrysler 300 gets 5-star ranking for safety. Chrysler 300 also landed on the top pick list of Insurance Institute for Highway Safety while sharing the same prestige with another GM product, Dodge Charger. Both automobiles have 5-star badge for Safety. The 5-star safety badge came about for Chrysler 300 front and side crashes which means the muscle car has scored high on front and side tests, which measure how the automobile’s front and side absorbed the impact of a head-on-collision. Landing on the top list gives Chrysler 300 another feather on its cap after being tagged as the most dependable car of the all times. Chrysler 300 also got 4 stars for rollover safety, which means it has scored above average on rollover safety test. Roll safety test is conducted to measure automobiles’ safety in cases of rollover incidents. However, Chrysler 300 and Dodge high safety rankings are only for its high performance scores in both Front and side and rollover safety and its performance as an upscale beef SRTV V-8 is particularly excluded. However, Chrysler 300 and Dodge Charger high safety performance is a result of its safety technology that summarily derives from being a 4-wheel drive with an adaptive headlights and automatic high beams. Both carry collision warning with an adaptive cruise control and the ever dependable blind-spot warning system. Both have rear path detectors for more safety on tough surfaces. Dodge Charger now have police car version for Michigan State Police as well as for NYPD, Amherst, Ohio, Memphis Police department and California Highway patrol. Chrysler 300C Heritage Edition has the Smart Beam headlight for greater visibility and safety for night driving. The second generation Chrysler was also noted for its standard seat-mounted side airbags and modified LED tail lights. Its front rear is a slotted horizontal grille carrying an updated Chrysler’s winged emblem. Its improved raked windshield is set for more visibility while its dual-pane sunroof is for greater outward visibility. GM is proud and happy on how Chrysler is being received as car with topnotch safety technology. With 5 –star rating from NHSTA, the automaker is determined to continue to produce and make a better version of the car not only geared for pleasure driving but most of all for a smooth and safety ride while being on the road. Chrysler 300 began in 2005 after its concept was introduced in New York Car show in 2003. 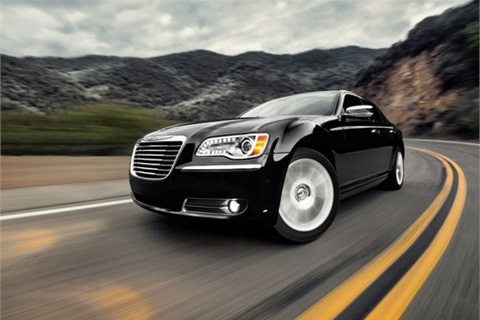 There are several variants of the Chrysler 300 models such as the 300C, SRT8, Limited, Touring, and the LX model. Chrysler 300 is also known as Chrysler’s full size sedan that can be either a personal or a family car that you can be proud of. One of the major highlights of the Chrysler 300 model is the 2.7 liters V6 engine that has 178 horsepower and torque of 190 lb-ft. It also includes the 2nd V6 option that has a much larger displacement of 3.5 liters that is capable to produce 250 horsepower, as well as a torque of 250 lb-ft. Other Chrysler 300 model has a massive 5.7 liters V8 engine that is capable of 360 horsepower and a torque of 389 plus lb-ft. On the other hand, the most powerful engine among the group is the 6.1 liters V8 engine that can amazingly perform 425 horsepower, as well as a torque with 420 lb-ft. All of the said engines are integrated with a speed of 4 to 5 automatic transmission and diffusion. The most astonishing program by a tuning company called Mopar is the 2012 Chrysler 300 Mopar ’12. Many people considered this tuning project as the most impressive and arguably notable Mopar program after 75 years in the tuning industry. As a matter of fact, Mopar is currently celebrating its 75th year in the business. The Mopar’12 is one of the most comprehensive tuning platforms specifically designed and created for Chrysler 300 model. The Mopar 300 is a special edition model that has been the flagship project for the company for this year. There are several exterior features and aesthetic modifications of the Mopar 300, which includes a tinted headlights, a new set of wheels with Goodyear Eagle F1 tires, an exclusive black chrome grilles, and a blue decal body stripes that has a special badge on it. Meanwhile, the exterior of the Mopar 300 is very impressive. There are many interior designs of the Mopar 300 including die-cast paddle shifters, a thick rimmed steering wheel, pre-installed Alpine audio system, a new gear knob, a perforated Katzkin leather seats, and a carbon fiber trim as well. The new model also has a unique system called the Uconnect Touch infotainment system that has a lot of great functionalities. The Mopar 300 features an aerodynamic performance modifications such as the high-performance brakes, 363hp 5.7L V8 engine, revised gearing, as well as a sport-tuned suspension system. The redesigned Chrysler 300 2011 edition has just been into a feverish night of show at the Detroit show. Though the heat has not yet cooled down, Chrysler is moving again, adding a good number of models of the Chrysler 300 line up which will be presented at the New York Show. Right at the show, the three executive series of Chrysler 300 were presented such as the 300 C STR8, 300 AWD, and 300 S. all of these three belong to the V-6 300. With such types of cars, Chrysler will always have an executive model for you: big wheels, banging’ stereo, fueled by furious yet righteous anger, one with one with premium wood trimming or incorporation or fine leather material. Chrysler has made it possible to broaden the sleek appeal of sleek sedans and these broad modifications appear on the 300 S. all of the S models come with brightly stripped wood and chrome. The mirrors and fascia also come with color accents. It also comes with a black-colored chrome grille, headlight surrounds in black color, and aluminum wheels that are well-polished accented with black colors. At the interior, it can be finished with Radar leather in red with matte carbon and piano black that replace the wood. It also comes with 8.4 inches display for infotainment serving as the control center of the ten speakers installed inside, 522 watts BA system developed by Dr. Dre with Jimmy Iovine, the chairman of A&M Records. The Chrysler 300 C Executive Series comes with extra lavishness. It comes available with an all-wheel or rear drive and also offers exotic materials which are common to Italian cars – luxury cars so to speak. The 300 C is treated with either of these two luxurious Italian leather materials: Poltrona “Foligno” Frau in black or Mochachino. These leather pieces are incorporated on the cluster brow and instrumental panel. Chrysler 300 C also comes boasting its console style side panels and panels for the upper door. The seats are carefully stitched with a leather material called Nappa and come with two color combo that you can choose. The exterior of the car the chrome trimming is being replaced by superior and magnificent ‘platinum’ chrome and that the car gets polished uniquely in 20s. There are no price listings available yet for such executive series cars but many are hopeful that these cars may at least be offered and sold at a price of $50K. Mopar’s cars shone in the Chicago’s Car Show decking up lots of visual goodies for car models including Chrysler 300’12, Jeep Compass True North Edition and Fiat 500 Stinger. Photos for the three Mopar stars strike the media and caught much attention for what Mopar has done for these car models. Mopar played up Fiat 500 Stinger with yellow and black paint idea with the black stripes running along the sides while a black checker patterns dominates the roof. With the exterior styling changes, a 17-inch black aluminum wheels from The Abarth and a black chrome accents was wrapped around while the interior get the color touches matching the Stinger exterior styling. Mopar gets down new sets of brakes, cold intake and the cat-back exhaust helping the 1.4 liter engine to breathe. Chrysler 300’12 got dressed up with sinister black-and-chrome color scheme accentuated by the blue pinstripes setting the car’s line back in great sight. Mopar finished it with 20-inch glossy black rims completely embracing the handsome grille and paint job. On the interior, Chrysler was full leather black amid blue colored stitching to equal the handsome exterior. The Mopar blue emblems are embroidered in the seats. Chrysler 300’12 gets the 5.7 liter Hemi V8 and its 363 horsepower is paired with a 5-speed automatic transmission and a stiffer suspension. Mopar practical improvements in Jeep Compass which the company called as True North Edition did not touch the Jeep’s off-road tag. What they did was to change it with the rear and front brush bars for its underside protection. Mopar modifications were all cosmetic with a two tones matte black and burnt orange finish giving the SUV its more aggressive look without mentioning its larger fenders. Mopar gave the SUV a neoprene seats making it a cool car for outdoor type car. Another cool touches includes dashboard will tilt and pitch gauges and carbon fiber shifter knob. The car got improved sound system and flip-down rear speaker for a cool night or day camping. Mopar is a company dedicated with high performance and in providing for the needs of drivers from parts, accessories and maintenance. Mopar is a company that is always a part of every automobile’s events and activities from auto shows, car clubs and special events. 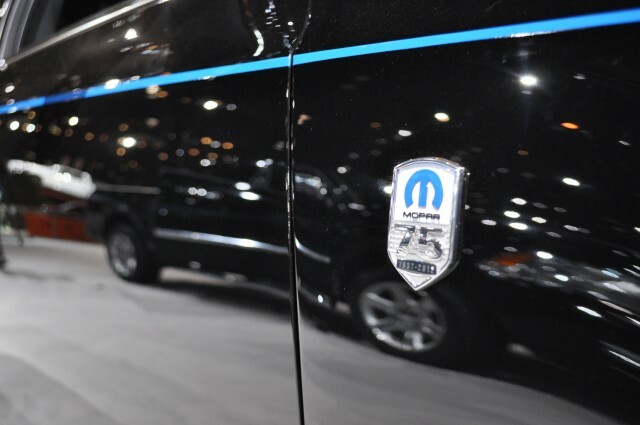 The Chicago Auto Show is only one of the auto shows that Mopar’s cars get the full attention and grab the limelight for its aggressive and one-of- a kind styling and designs. A Chrysler 300 believed to be leased under the name of Barack Obama; the current US President is listed on online auction and retail site eBay and goes for a startling price tag of a million dollar. Prices are at the command of the posters and the huge starting bid dictates that the final bid price will not be in any way be lesser than. A certain Liza Czibor who claimed she posted the listing and said in a phone interview that the price is what the present owner is asking for and both of them expect the car will be sold for that price or even more. She also admitted that she’s getting commission for posting for the current owner. She also added that she’s only after the money and she’ll be happy to get what she’s expecting. However some Auction house owners are raising eyebrows on the price and claim that nothing has ever gone far to that amazing price. Even the hearse which carries the remains of President John F. Kennedy was bought in an Auction for only $160,000. But eBay showed some on its previous listings have commanded high price including a Peugeot that was said to be owned by a former Iranian President. Czibor has no title to prove her claim but said that an Illinois certificate of Title showed that Obama was the lessee and said that’s what the owner has right now. She did not elaborate on how the current owner has the car in his possession. What is clear is that Obama was then an Illinois Senator when he owns the Chrysler 300 and traded the car with another car supposedly to be a 2007 Ford Escalade which allegedly the car Obama used when doing his rounds of campaign for his presidential bid. Chrysler 300 car is an efficient car either for a combined city and highway driving tapping an 18 miles for about a gallon of gas fuel. On the other hand, a spokesman for the White House did not give any comment on the eBay listing. Chrysler 300 is now in the limelight as people are checking out the eBay listing although there is no bid yet. Liza Czibor and the current owner is relisting the car if it fails to get any bid and are both hopeful that when the election hype arrives, the chance for the Chrysler 300 to fetch its 1 million tag will get better. Chrysler is known as the world’s leading luxury car maker that was established in the early 1920s. This new millennium is the birth of the phenomenal Chrysler 300C models. The new era of the latest generation of Chrysler 300C has finally began in the world of luxury vehicles. The new Chrysler 300 (2012) has evolved with its new features for both the exterior and interior designs that are truly world-class. The elite design features include the redesigned outer details, signature LED-accented headlights, an expansive and open dual-pane sunlight roof, and the so-called soft-touch appointments feature. The 2012 Chrysler 300 exterior comes with a jeweled and C-shaped LED that really defines its distinctiveness among other luxury cars in the market today. One of the highlights of the Chrysler 300 Limited and 300C models is the so-called Bi-Xenon HID headlamps that are much brighter compared to halogen headlights. Chrysler’s new technology created for headlights is called the AFL (Adaptive Forward Lighting) system that provides more visibility and improved driving performance especially during the nighttime. The AFL system integrates an automatic leveling facet that has the capability to measure your steering wheel angle, as well as your speed to be able to identify the headlight projection. The 2012 Chrysler 300 is also designed with integrated rear spoiler, a raked-back windshield that enhances aerodynamics, LED tail lamps, and tailored finishes of the unique grille. The interior design of the 2012 Chrysler 300 is integrated with premium finishes and very detailed components to give a more impressive look on the surfaces. Chrysler developed the acoustic properties on the new model to lessen the outside noise and to keep it more peaceful from the inside. The rear seat measures 50.7 cubic feet which certainly provides more room for people. There are a lot of unique interior designs including the LED-backlit gauges, an analog click that is perfectly crafted to fit the grille, and satin chrome instrument clusters specifically on the dashboard. Drive with ease and comfort without hearing any noise from outside with its plastic-coated acoustic windshield feature, underbody acoustic closeouts, and the so-called fiber acoustic wheel liners feature. In addition, you can have this terrific feature called the dual-pane sunroof system that is available in some Chrysler 300 Limited and 300C models. You can also place your mugs and cups at the specially-designed heated and cooled cup holders to hold your drinks during a long travel. Chrysler 300 uses a Pentastar V6 and Hemi V8 engines and has high-performing features that promotes fuel efficiency, a multi-link suspension, and a powerful all-wheel drive system.